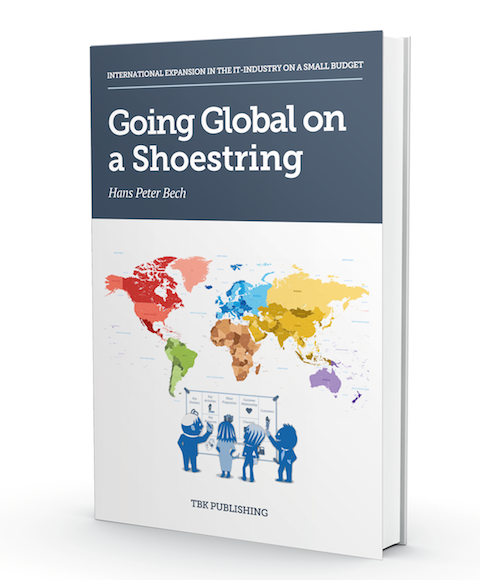 Going Global on a Shoestring is a handbook for investors, board of directors and executives that have the responsibility for laying out the strategies for global expansion as well as perform the actual field work with building the first bridgeheads in foreign countries. Based on Alexander Osterwalder’s business model framework, Geoffrey Moore’s Crossing the Channel principles, case stories from the industry and the author’s experience with growing companies from incubation to global market leadership, the book provides a practical approach to international expansion. Companies that have business in foreign markets are worth much more than companies that only have customers domestically. Even just small export ratios can increase the value of a technology company more than ten times. The barriers of entry for information technology entrepreneurs are small and decreasing. At the same time the potential for reaching global markets is very high and increasing. This cocktail puts immense pressure on software-based companies because it makes the windows of opportunity steadily narrower. It leaves you with basically only two options: Grow fast globally or die slowly locally. People across the globe get the same ideas at the same time. She who manage to take the market first is awarded enormous advantage making it harder and harder for the laggards to keep up. The author worked in several international sales and marketing positions from 1980 to 2001, and since then he has been helping primarily smaller technology companies planning and executing global growth. 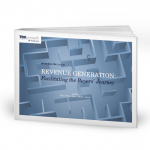 Much has changed in the past 37 years since the author started his career as a sales trainee with Control Data Corporation, and the approaches for rapid revenue generation have changed accordingly taking advantage of the lean business development methods, the Internet, and social media. But some fundamental business principles have not and will never change. The book will help the reader understand these differences and provide inspiration for going global on a shoestring. 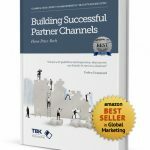 The book is the second in the series of “how to” books for executives in the software industry, the first being the bestseller “Building Successful Partner Channels”.